The ability to create beauty and find meaning out of loss and pain is a defining characteristic for an artist. Of course, not all art is created that way, but those that react creatively to such hurdles are a special breed. For example, most of us would respond to the demise of a long-term relationship by moping, sleeping, weeping or drinking (note that your personal answer may include more than one of the foregoing activities, as has been the case in my experience). 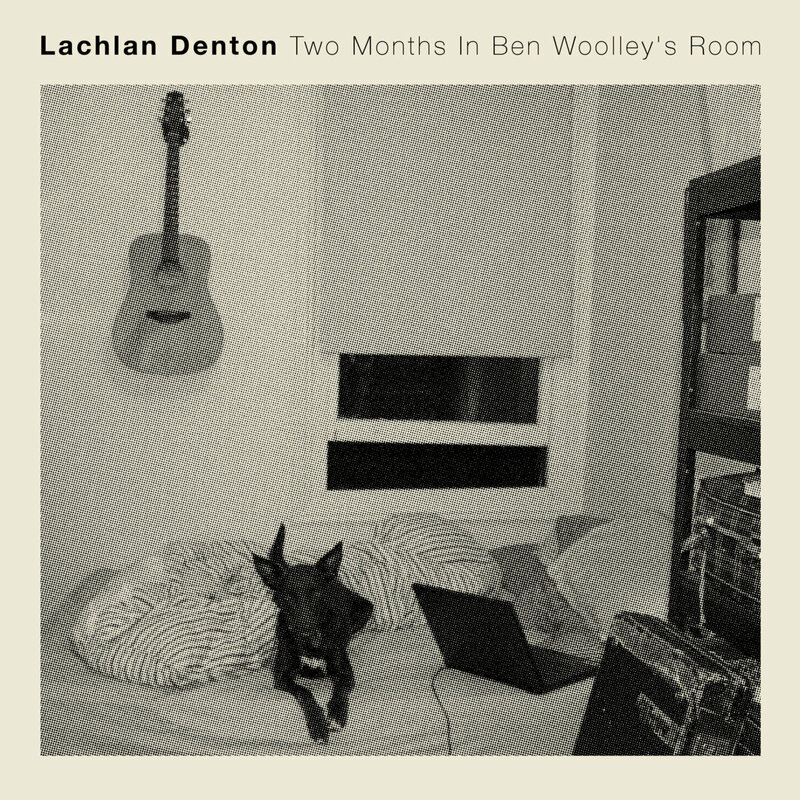 In the aftermath of the dissolution of an 8-year relationship, Lachlan Denton took a two-month sublet from Ben Woolley, and put his talents to crafting what our ears declare to be the finest singer songwriter album we have heard this year. The title -- Two Months In Ben Woolley's Room -- reflects a directness and honesty that is echoed throughout, with sincere and heartfelt songs that are bittersweet and reflective, but refreshingly vibrant. Love isn't an abstract concept, but rather something you feel and live when you are in the relationship, and something that creates a palpable void when all that is left are the memories. Lach understands that, and generously allows the listeners to pull in close and share his reflections. But make no mistake, this isn't an album of tears and mopery. The songs are melodic, with shimmering arrangements and, in several instances, a delightful strut to the tempo. Denton wrote all of the songs but one, and his choice for a cover is the Go-Betweens' "Boundary Rider". And that just goes to show that perfection can be perfected. Lachlan Denton is a mainstay of Melbourne's ace The Ocean Party, but has released several solo records as well and collaborated with Emma Russack. Two Months In Ben Woolley's Room is out now in digital and cassette formats.